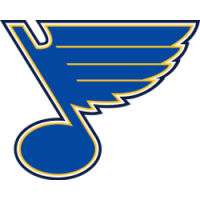 WINNIPEG, Manitoba (AP) – Tyler Bozak scored with 2:05 left in the third period to give the St. Louis Blues a 2-1 victory over the Winnipeg Jets on Wednesday night in Game 1 of their Western Conference opening-round playoff series. Pat Maroon sent a backhand pass from behind the net out to Bozak in the slot, and Bozak’s quick shot went by Winnipeg’s Connor Hellebuyck for the go-ahead goal. The Jets got their first power play of the game with 3:09 left in the middle frame. Byfuglien had his team’s two shots with the man advantage – one was stopped and the other hit the post. Hellebuyck was pulled right away for the extra attacker, but Binnington slid across his crease to make an impressive pad save on Scheifele’s one-timer with under 15 seconds left.